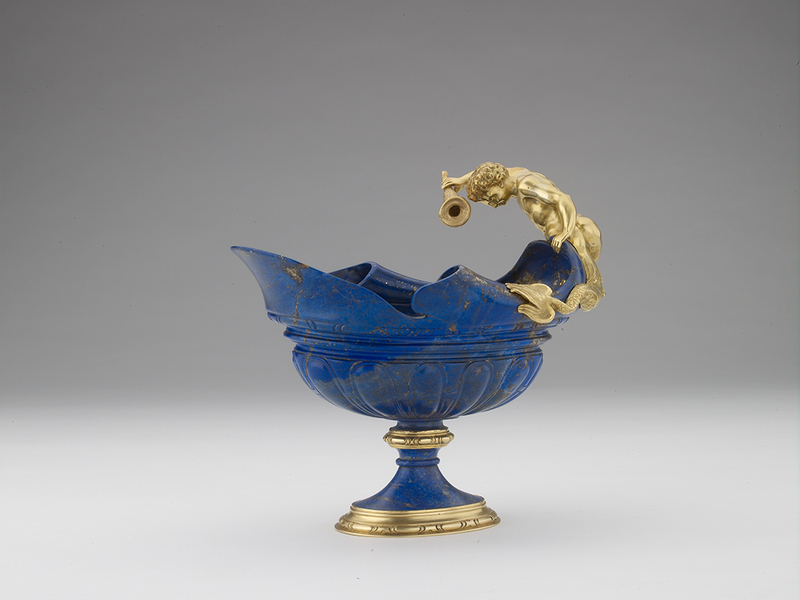 The body of this virtuoso ewer is carved from two pieces of lapis lazuli, an exotic and expensive mineral probably imported from what is now Afghanistan. The mounts are gold, elegantly chased into the form of a gracious boyish triton, with a horn and split fish-tails. The practice of collecting fantastical, bizarre and exotic creations and presenting them together in a cabinet of curiosities was a popular trend at the time of its creation. These collections were thought to represent a microcosm of the world, and featured artwork and artefacts from all corners of the globe. 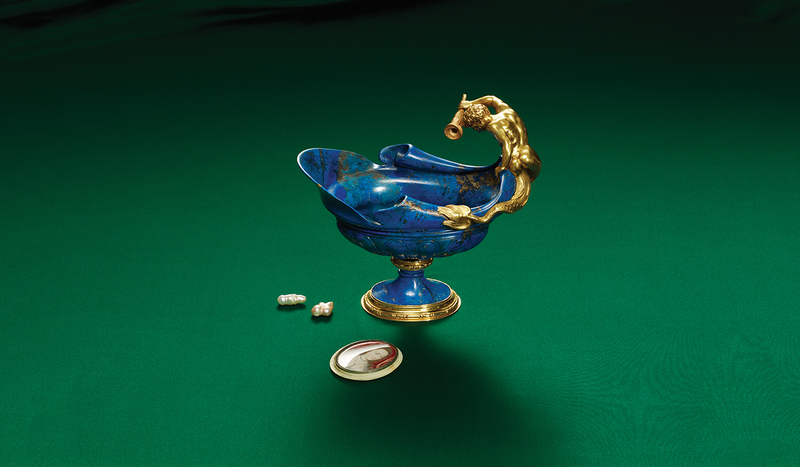 The first of these 'cabinets' served as precursors to the modern museum, and in fact, a cabinet of curiosities belonging to the Tradescant family is where the Ashmolean's founding collection originated. While the attribution of this ewer is uncertain, it may be the work of an Italian hardstone carver.